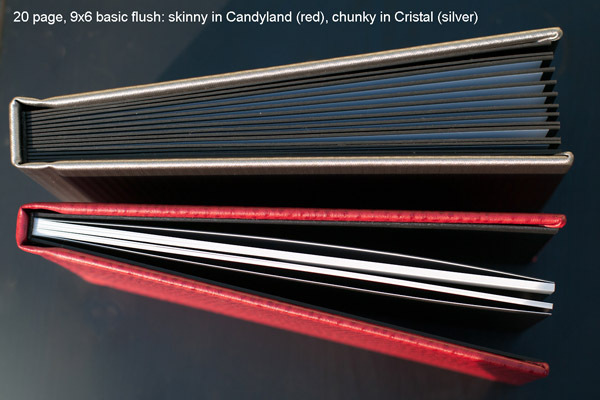 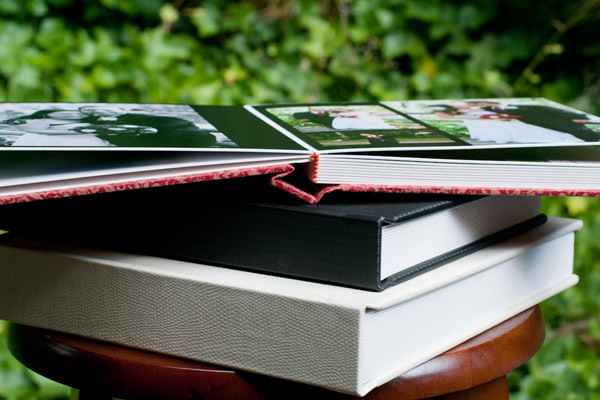 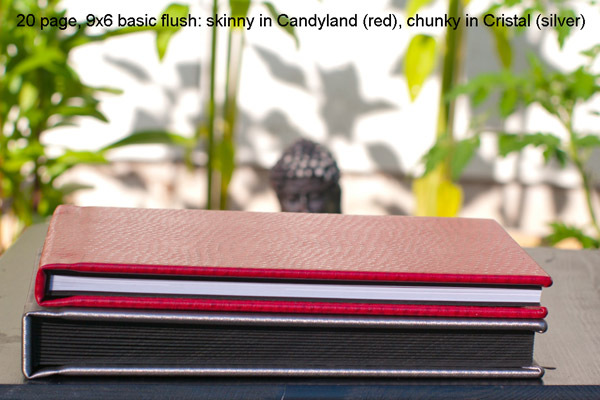 In the chunky flush album, design is similar to other flush albums, but there is a significant break between pages which makes taking a picture across two pages difficult. 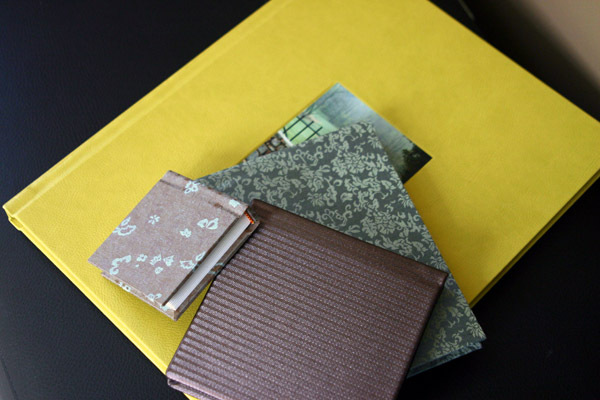 There is a small border of exposed bookboard around each page, and pages are made of 1/8th inch bookboard, resulting in substantial books even at 10 pages. 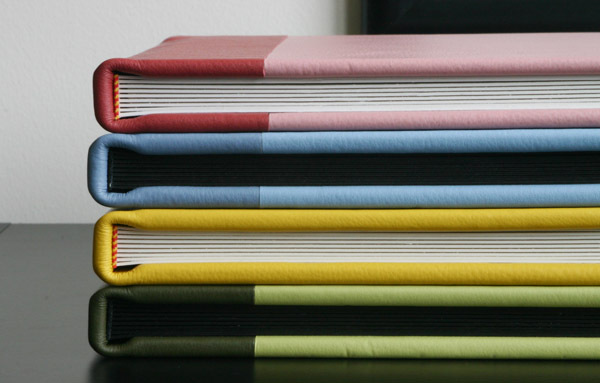 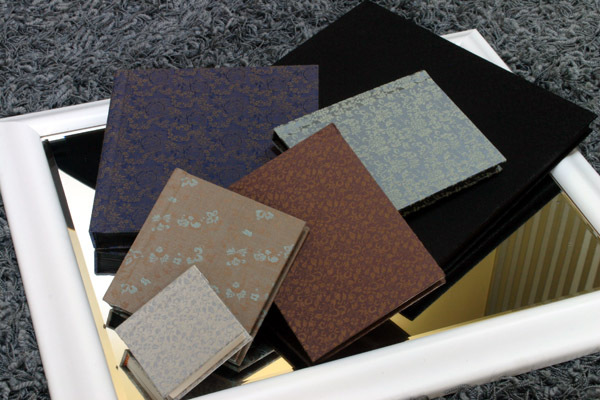 They are made with 10, 20, 30 or 40 pages, and can use all the same cover materials as the deluxe flush albums, but with fewer cutout and striping options. 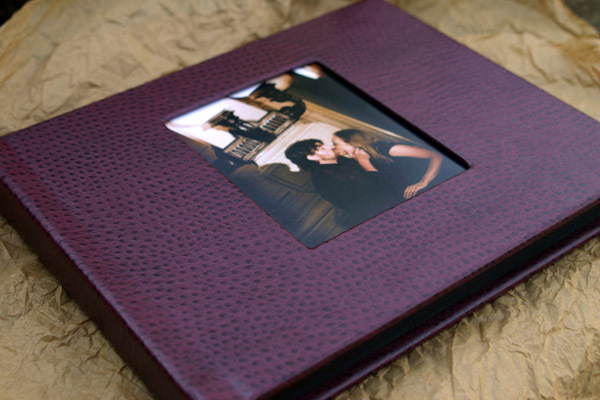 This album is the Finao Element, and is created by hand in New York, with final print assembly is in my studio. 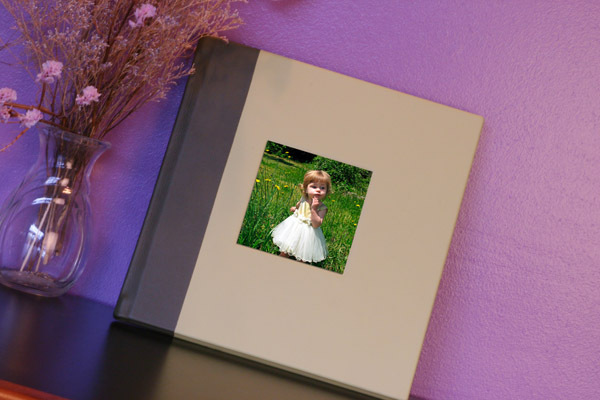 The chunky basic are a popular choice for boudoir albums when you may not want to trust your image files to a lab; I can create the prints entirely in-house if you choose the giclee option. 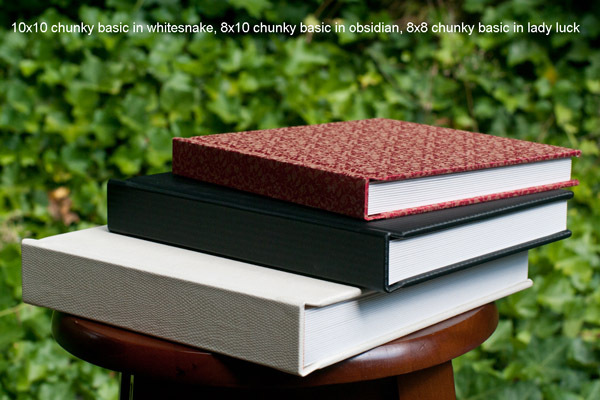 Maximum size: 40 pages, only comes in 10, 20, 30 or 40 pages.